Poor finishing has been the story of a five-match winless run for Watford. So, assessing the options for the Hornets’ forward line will be top of Javi Gracia’s agenda ahead of their trip to Everton on Monday night. In a 2-1 home defeat to Manchester City in their last Premier League outing, there were signs of improvement, with seven of the Hornets’ shots hitting the target. But in their previous four PL contests, thanks to a stream of wayward efforts, Watford mustered just eight shots on target in total. This dip has cost them points and must be remedied if they are to avoid sliding down the table during the busy festive period. A return to little and large? Much to his credit Gracia has operated with an attack-minded 4-4-2 diamond for the majority of 2018/19. He began with a partnership of Andre Gray and Troy Deeney up top, and this classic ‘little and large’ combination worked well in the early weeks. Deeney offered a muscular presence as the leader of the line, bringing others into play nicely. And the pacey Gray made darting runs around him, stretching defenders down the side channels particularly well. With Deeney and Gray working in tandem, Watford scored 11 goals in their first eight PL matches. After drawing blanks against Arsenal and AFC Bournemouth, Gracia decided to freshen up his forward line in late October, opting for an Isaac Success-Gerard Deulofeu pairing instead. Offering pace and decent movement this duo inspired back-to-back wins against Wolverhampton Wanderers and Huddersfield Town. Since then though, Watford have struggled inside the final third, scoring just twice in the last five matches. Creating two fewer chances per 90 minutes compared to the opening 10 fixtures, the absence of a natural target man has definitely been felt. Who will get the nod? A visit to Goodison Park may be the right time to renew the Deeney-Gray partnership. Of all Watford’s front men, they boast the best records in front of goal this season, and the chemistry they share is proven. Up against his former club, Deulofeu is also an interesting alternative - and Hornets fans would no doubt be excited to see if a Deeney-Deulofeu strike force clicks. On paper it’s a duo that offers variety, and you can see how they may complement one another’s play. 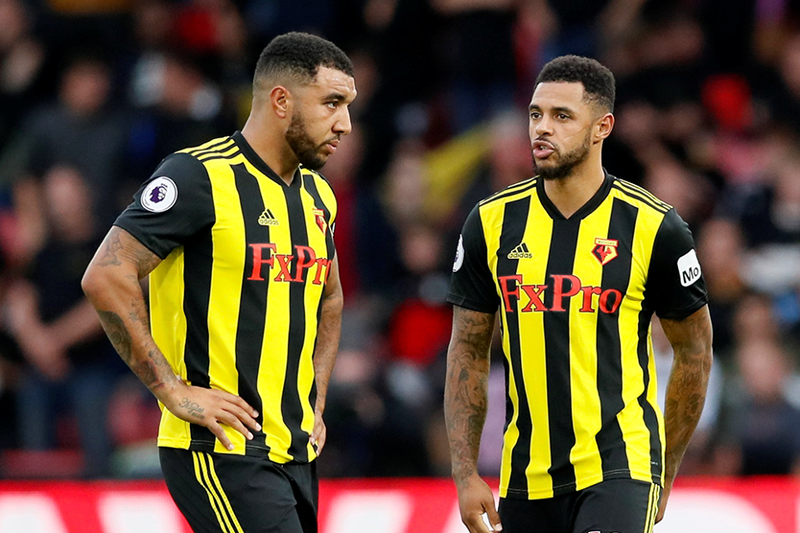 There is no question that Watford have lost a bit of the confidence they exuded earlier on this season, but they are not too far away from returning to form. To get the pick-me-up they are seeking at Goodison Park they simply have to be more clinical inside the penalty area. Once this aspect of their play functions better, the results will come.